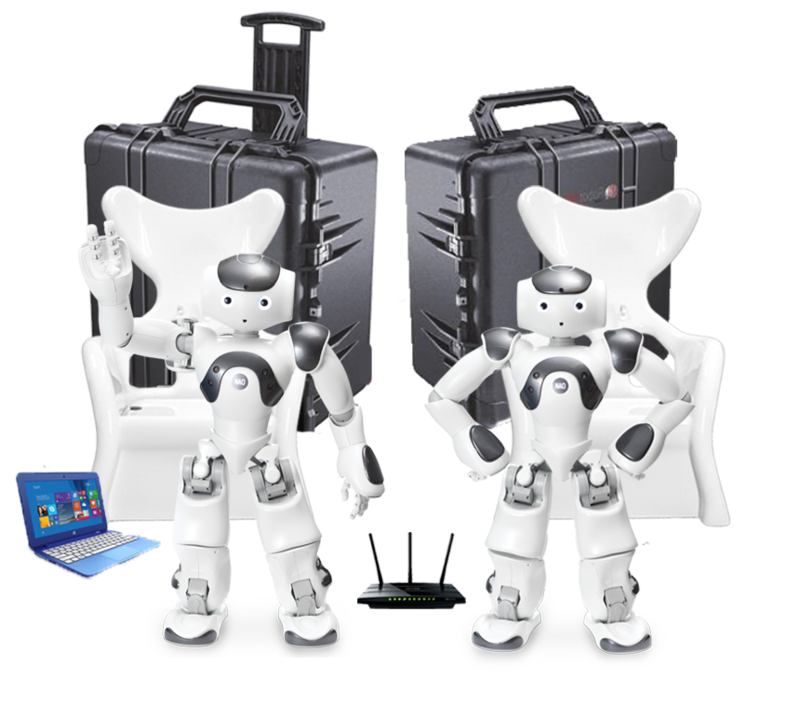 We brought into one turnkey solution what we consider to be the best technologies to teach STEM and Coding using NAO the Humanoid robot for grades 4 to 12. 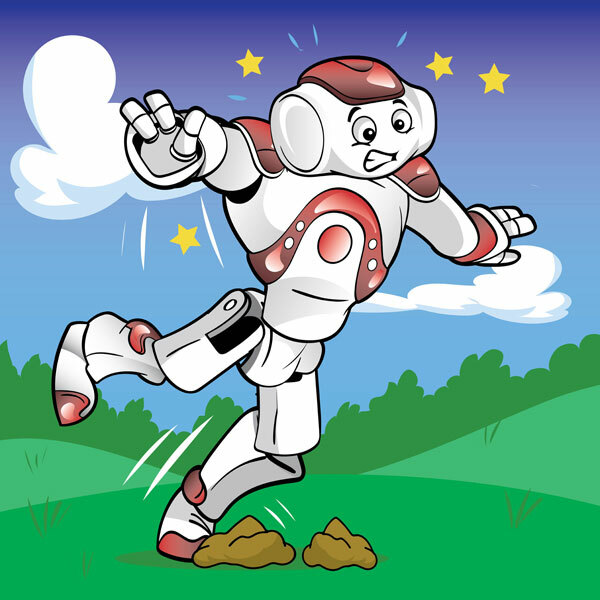 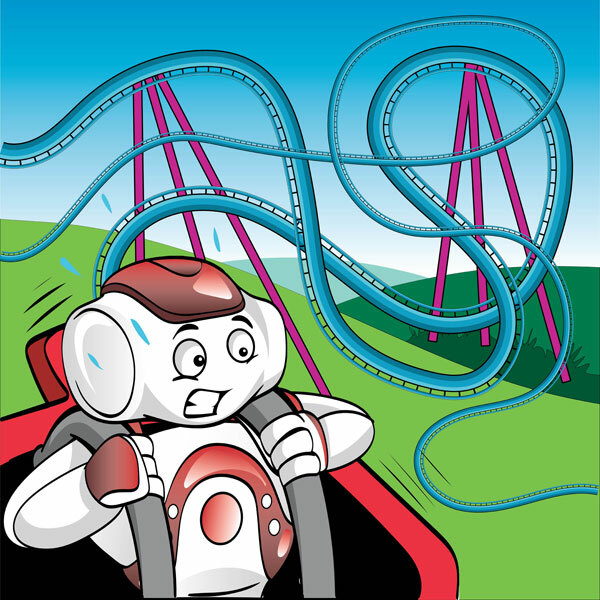 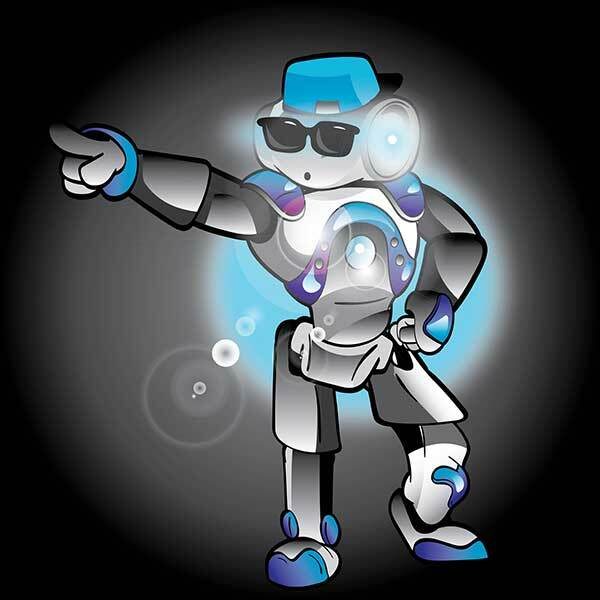 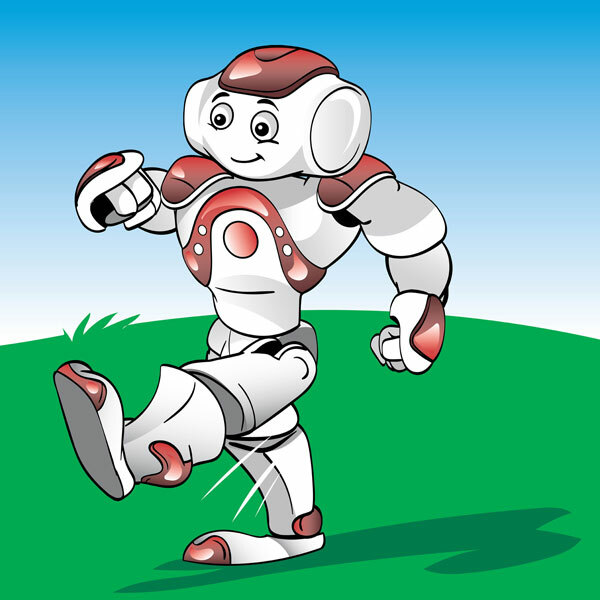 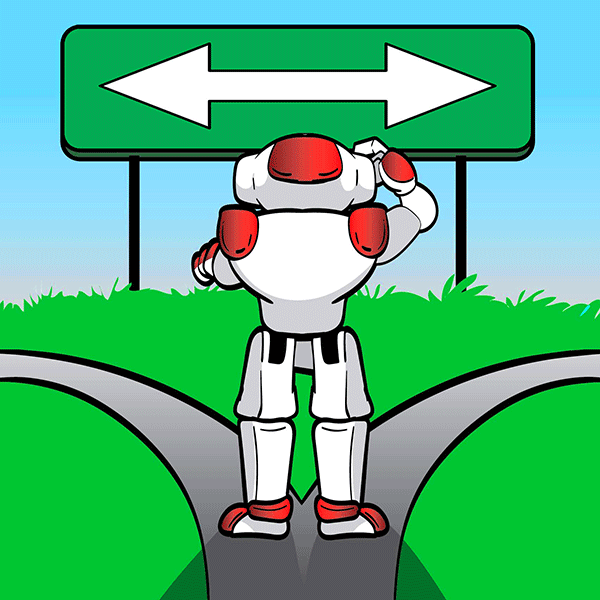 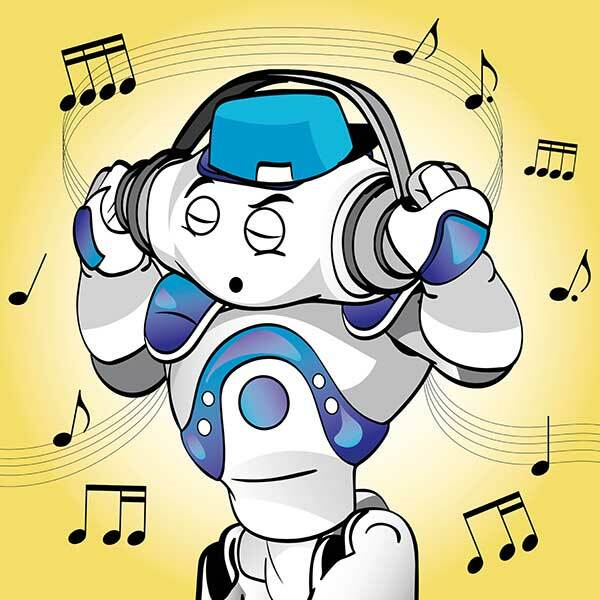 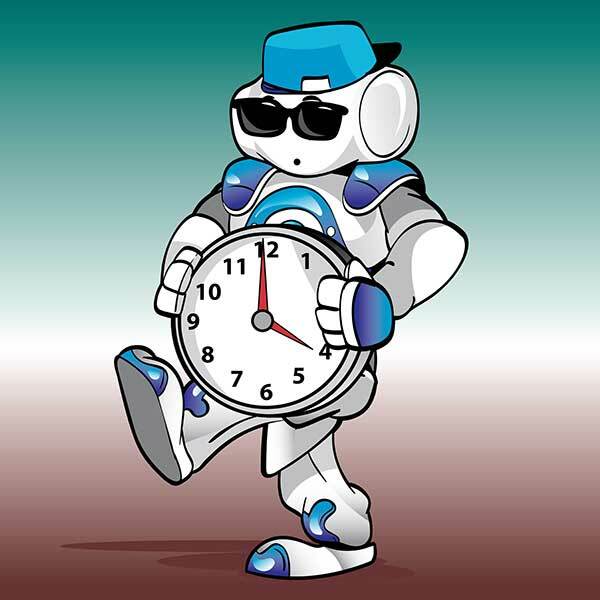 The NAO Robot Coding Lab includes everything you need to make your program successful. 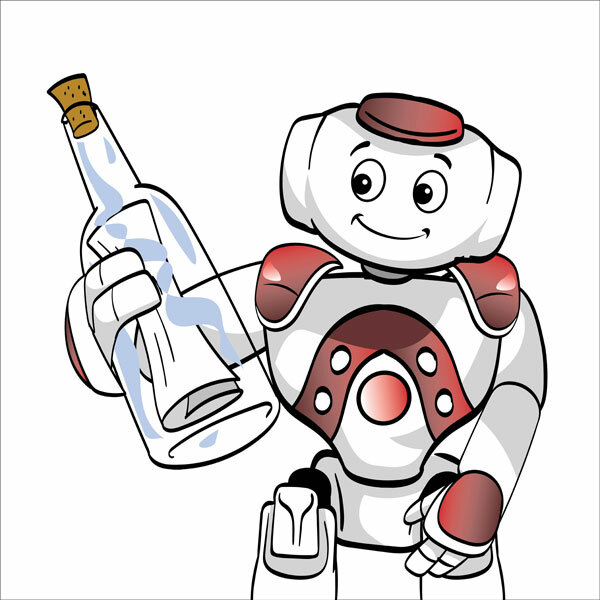 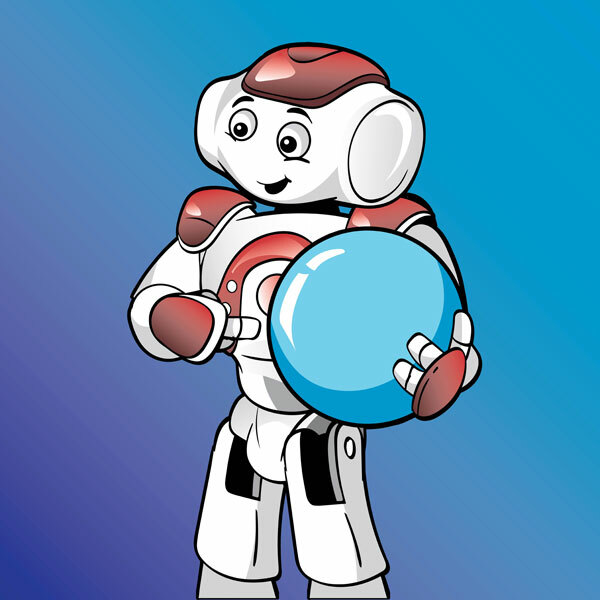 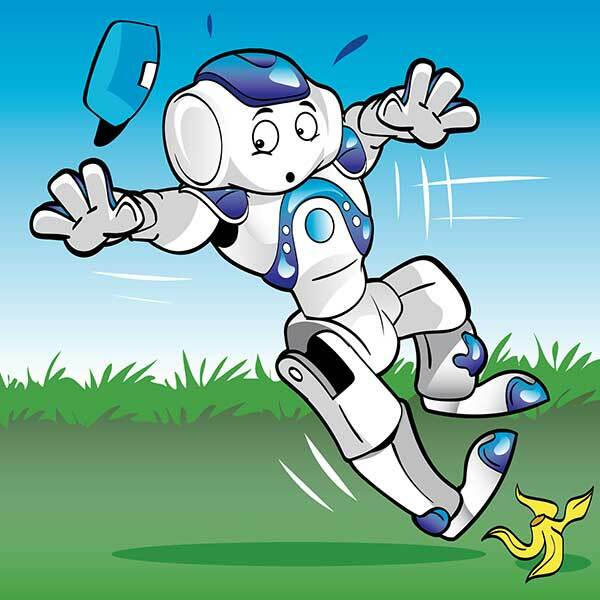 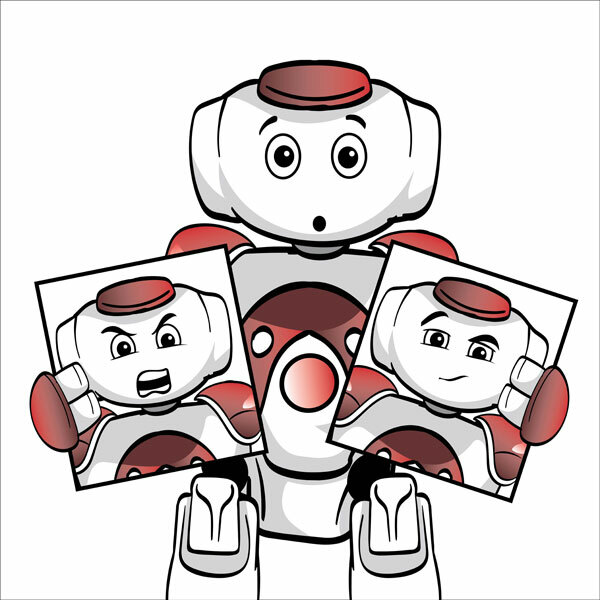 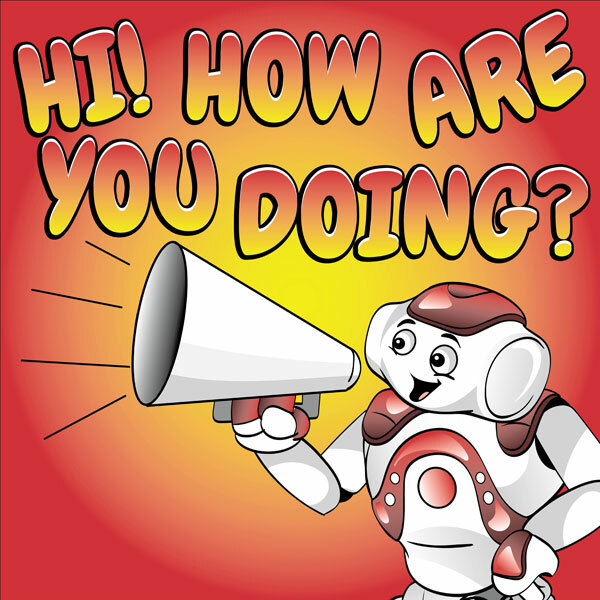 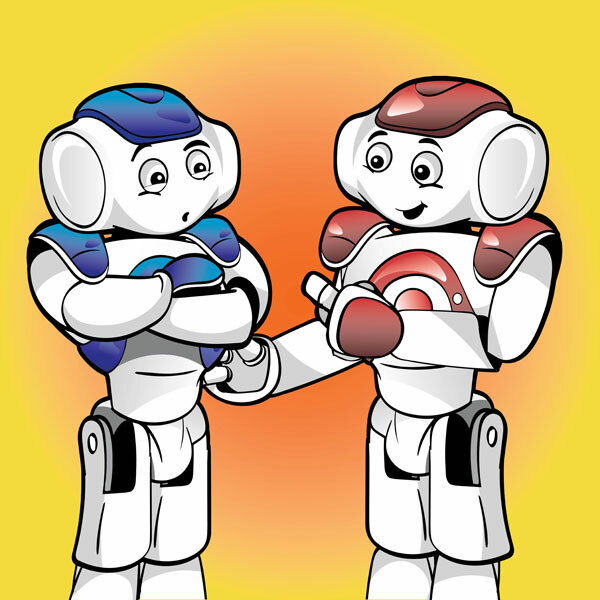 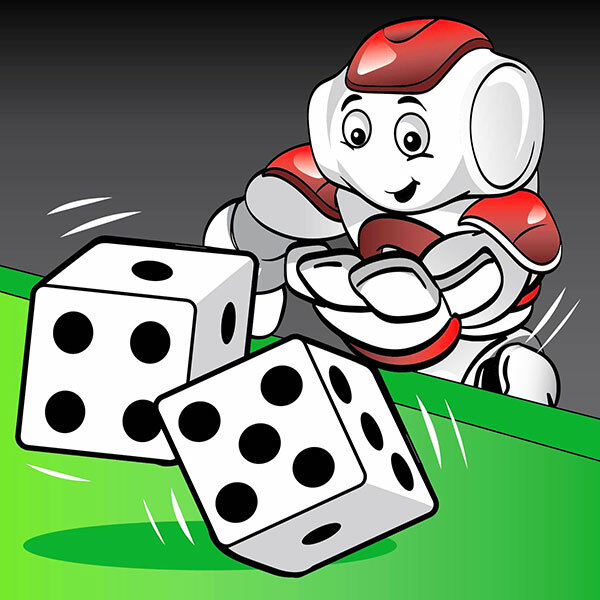 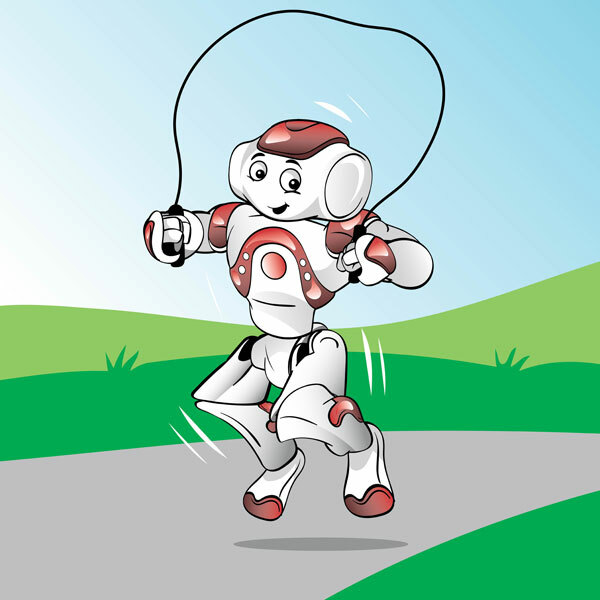 Today, NAO is the mostly used humanoid robot in research and education worldwide. 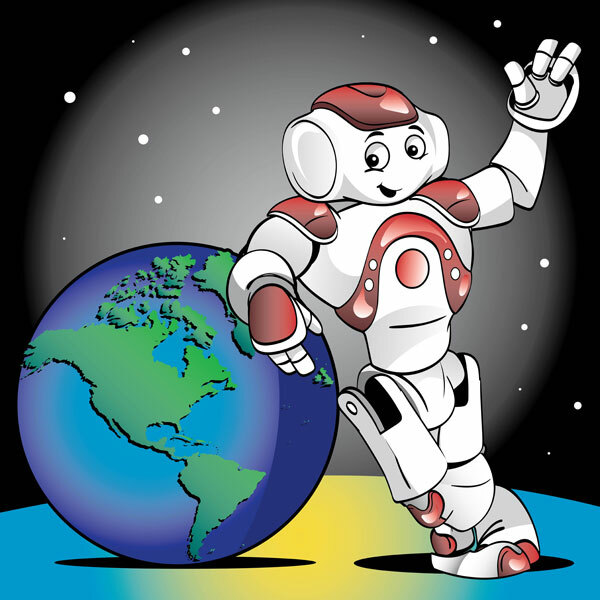 Robotics is the fastest growing and most advanced technology used in education and research. 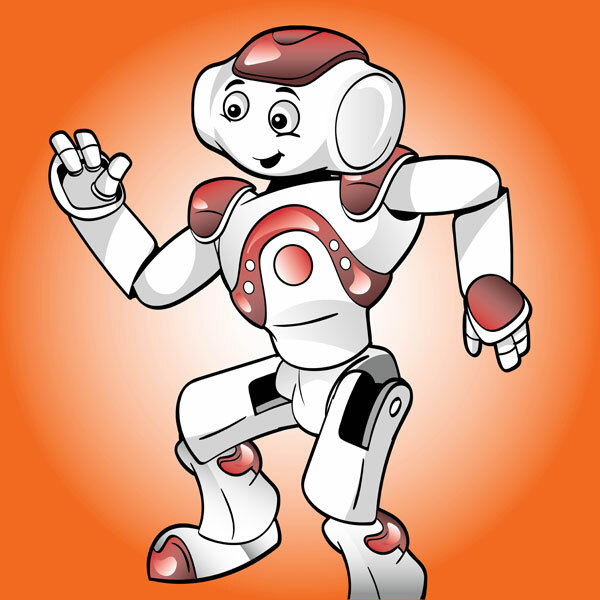 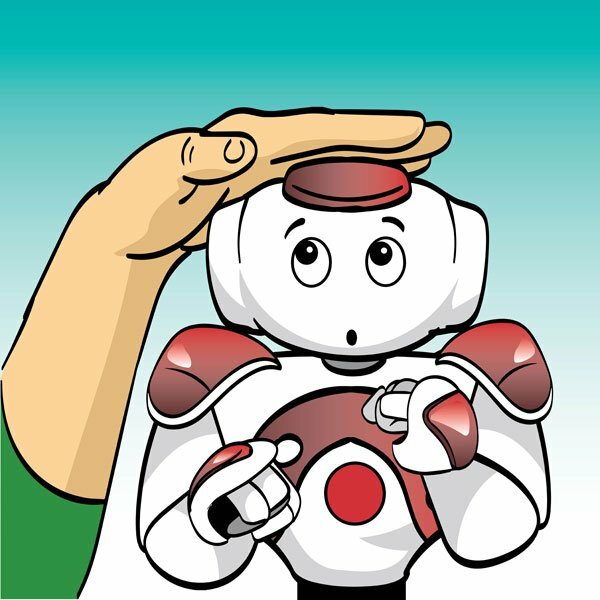 The NAO humanoid robot is the ideal platform for teaching Science, Technology, Engineering, and Math (STEM) concepts at all levels. 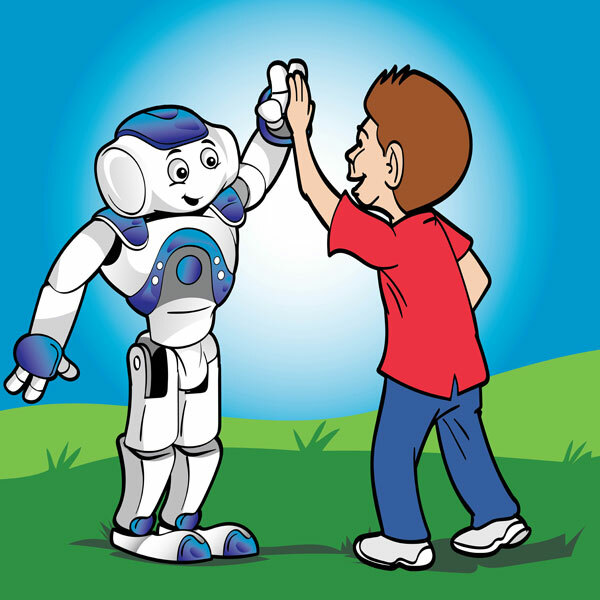 By using the NAO platform, instructors and researchers stay current with major technical and commercial breakthroughs in programming and applied research. 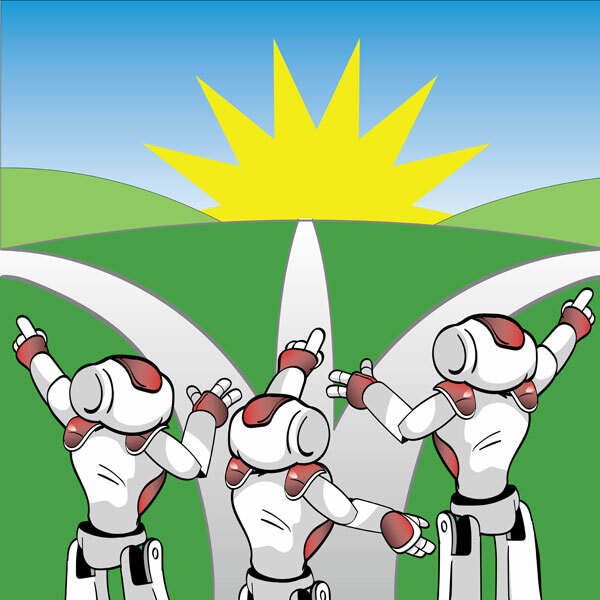 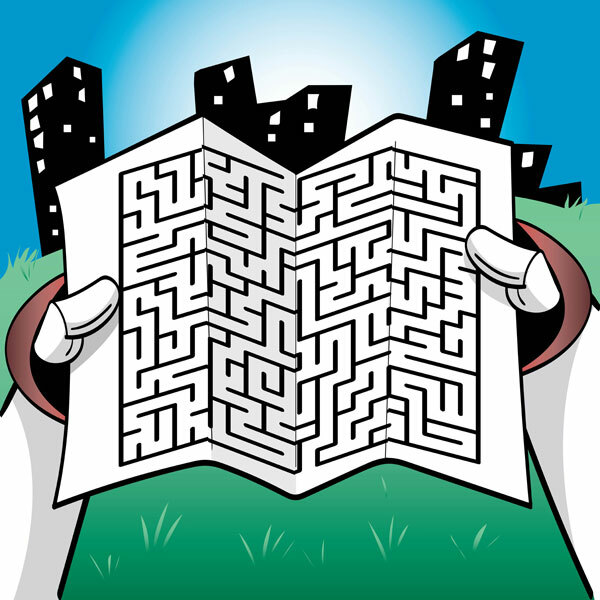 Using NAO guarantee students the best possible career and college readiness! 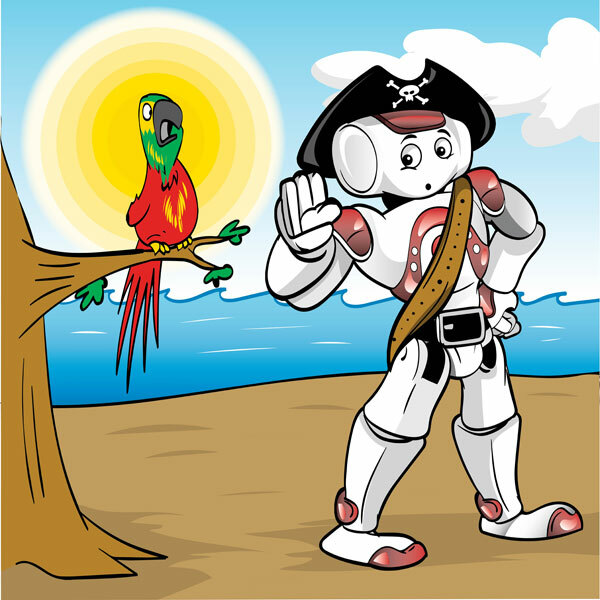 The advanced software package includes a full SDK and API in Java, C++, C# (.N et), Matlab, and Python. 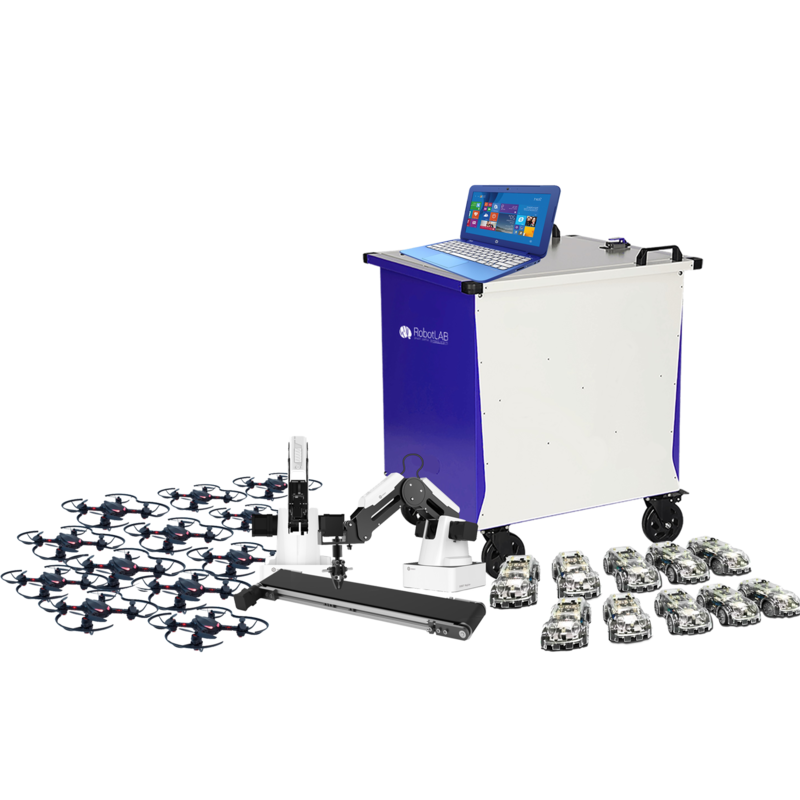 Every robot comes standard with Choregraphe, an award-winning software that makes it easy to program the robot using a drag and drop interface which simplifies the programming for new and advanced users alike. 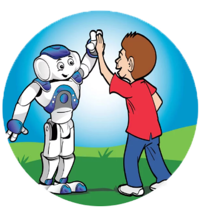 Fostering teamwork, project management, problem-solving and communication skills. 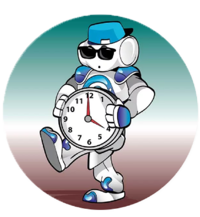 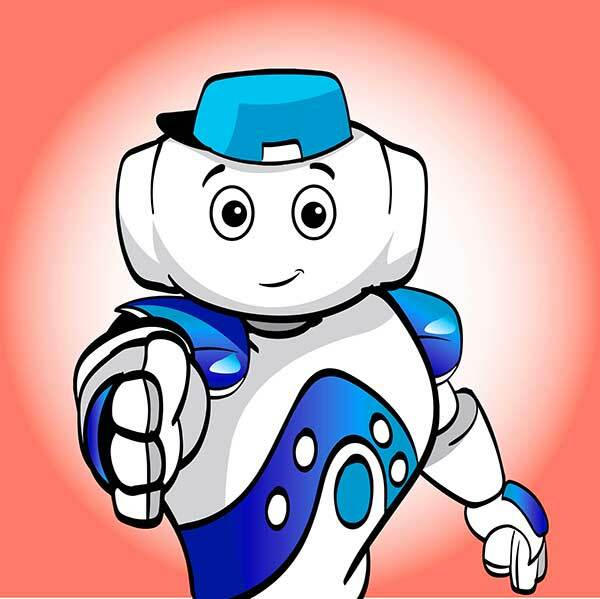 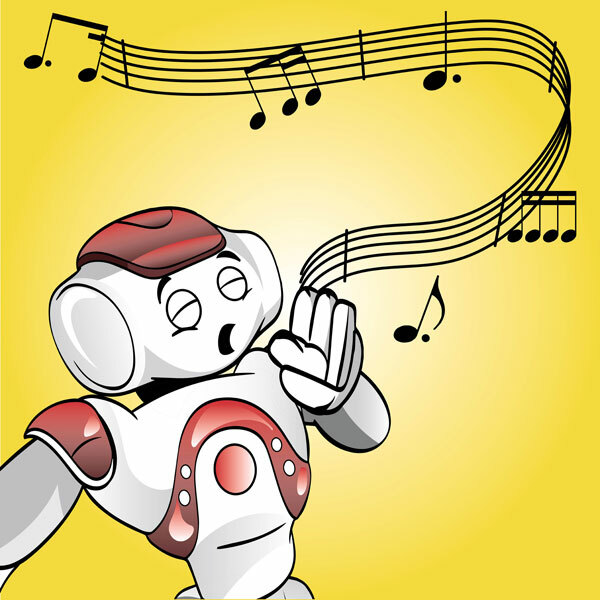 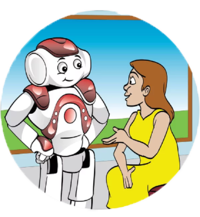 We have a spectrum of new fully developed lesson plans and activities for teachers of all types from grades 4 to 14 compatible with the latest version of NAO. 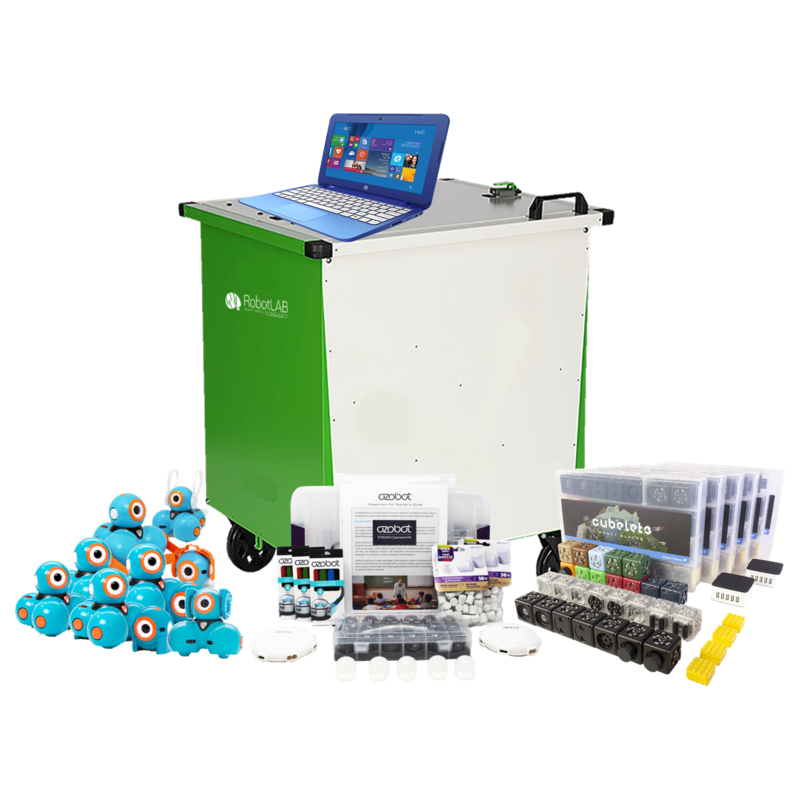 Developed in conjunction with educators in the field, these classes have been tested and optimized to impart critical STEM and Coding lessons. 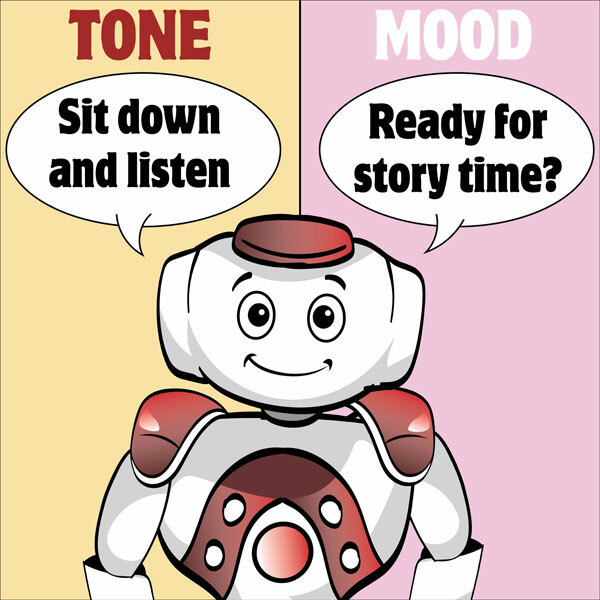 Students will learn basic programming skills by creating an interactive story for NAO to tell. 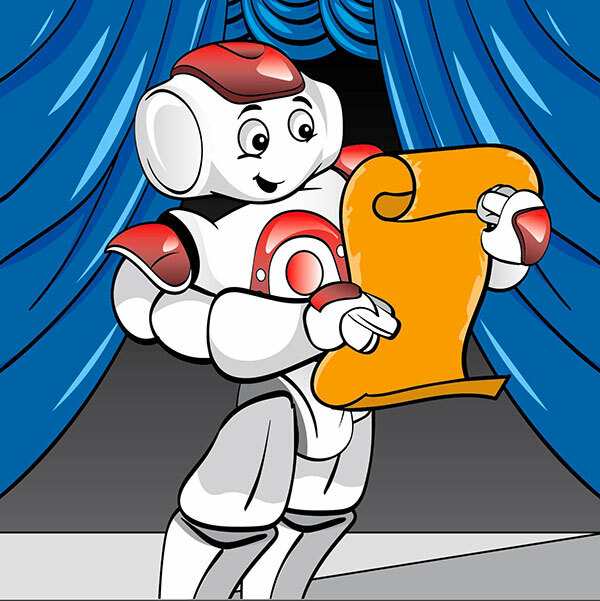 Each lesson uncover another layer of the story and introduces a computer science concept. 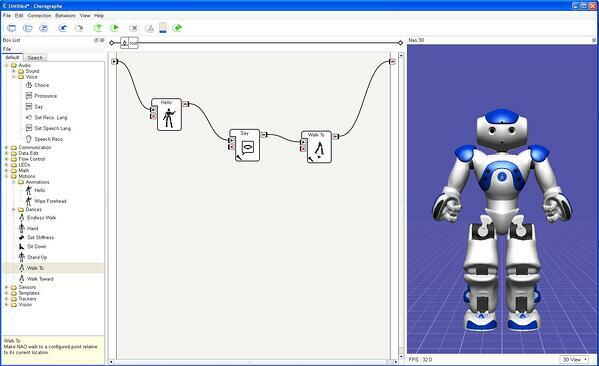 Students will use NAO to introduce and practice key concepts in Graphical and Python programming. 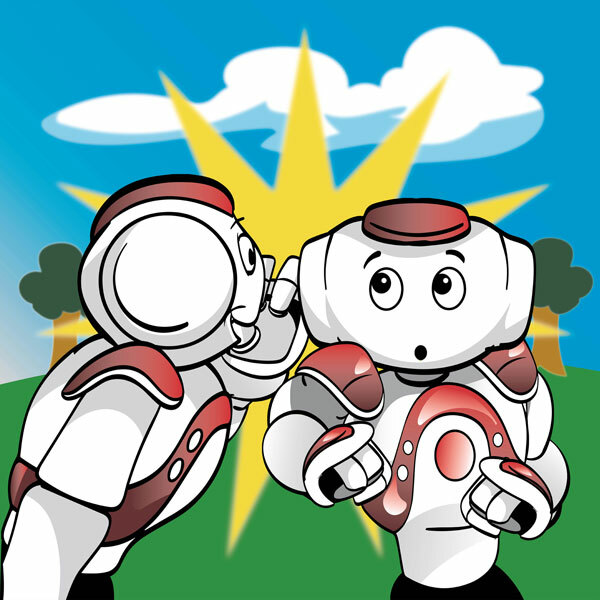 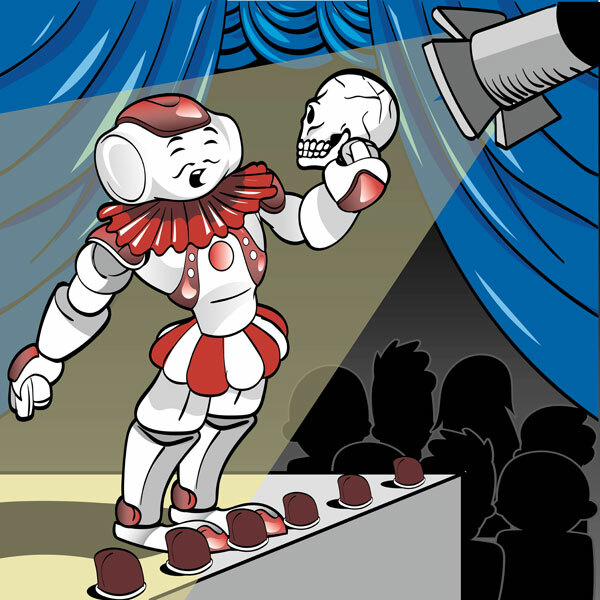 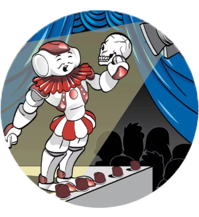 The Storytelling curriculum has students writing a story which utilizes multiple literary devices, and programming NAO to tell their story. 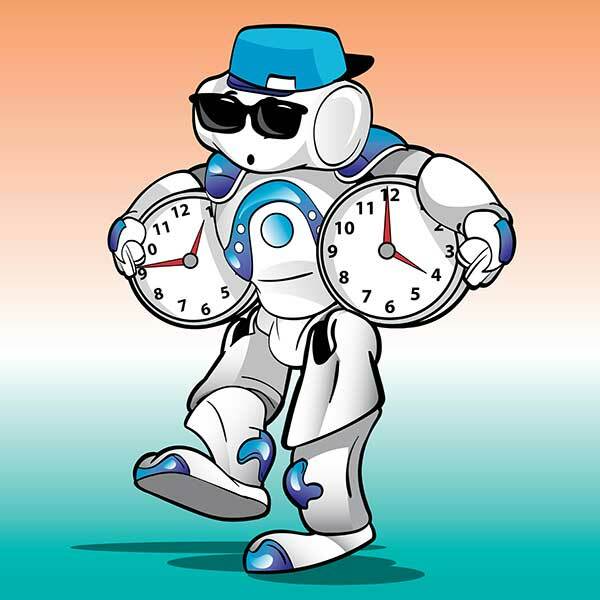 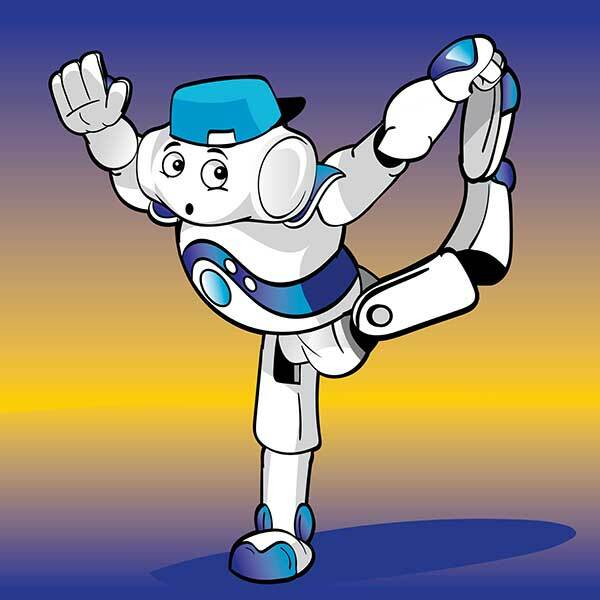 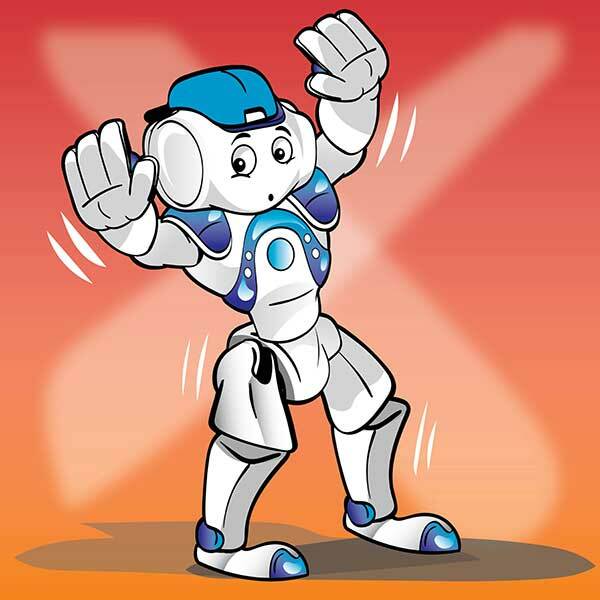 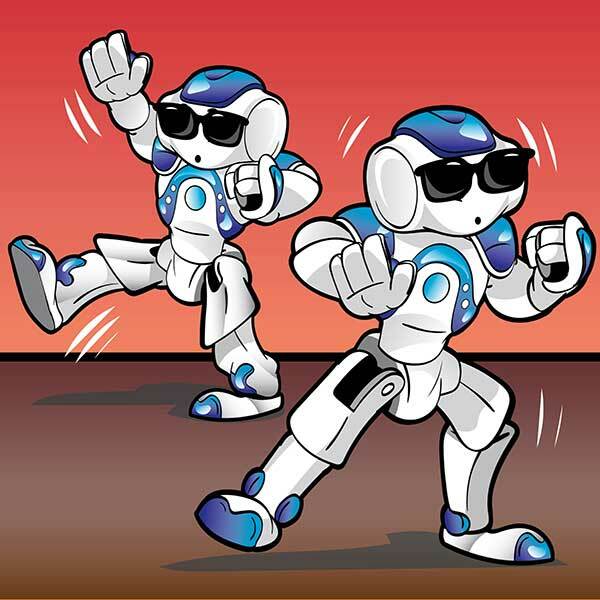 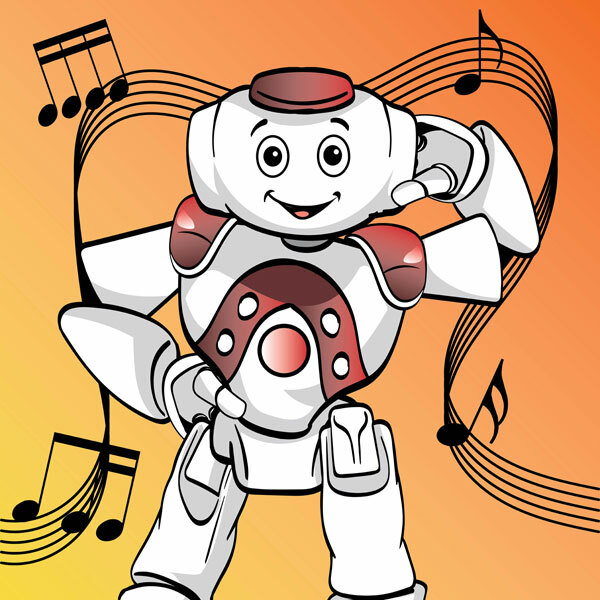 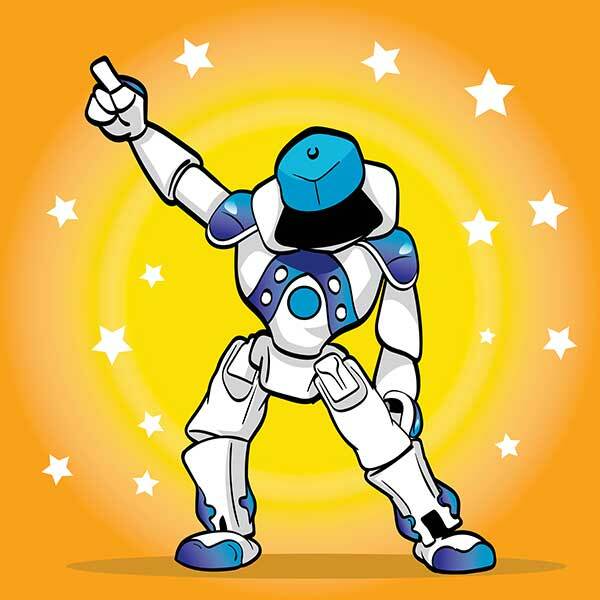 Students will Integrate math concepts into programming NAO to dance. 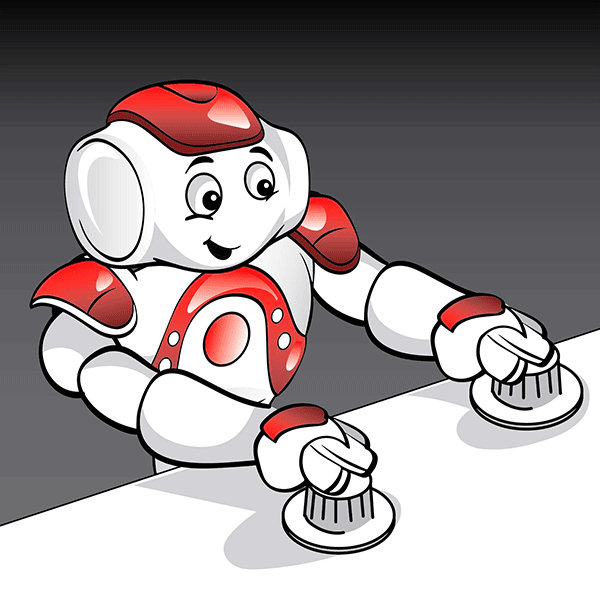 Click to watch the video about NAO Robot Coding Lab.